With the release of the most recent trailer for this summer’s upcoming Mr. Holmes film, it reminded us that we need to revisit Ian McKellen and discuss his decorations. 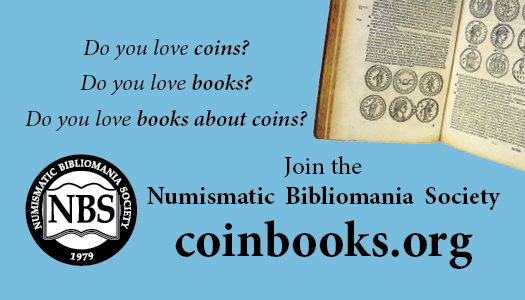 We had earlier discussed the many coins that featured McKellen from his roles in the Lord of the Rings and Hobbit movie trilogies, which you can read by clicking here. On June 26, 1979, McKellen was appointed as a Commander of the Most Excellent Order of the British Empire, abbreviated as CBE. 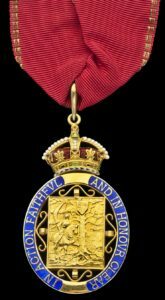 The CBE was established by King George V on June 4, 1917 to honor the many people who had served in numerous non-combatant capacities during World War I and is the third of five classes that make up the Order of the British Empire. McKellen was knighted in 1991, and became Sir Ian for services to the performing arts. We recently discussed the decorations for knighthood, which can be read by clicking here. On December 29, 2007, it was announced that McKellen would be granted the Companion of Honour, abbreviated at CH. 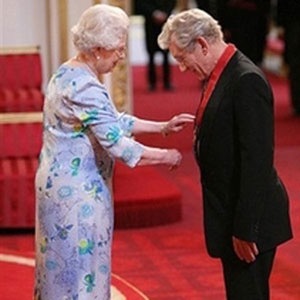 McKellen would receive the Honour from Queen Elizabeth II on June 25, 2008 in a ceremony pictured at the top of this post. 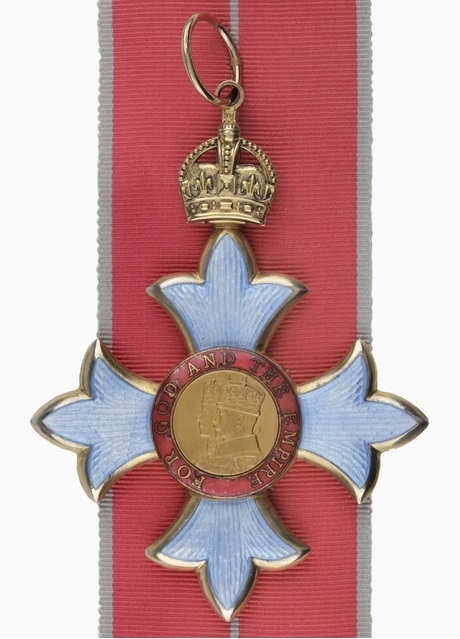 The CH was also created by King George V in June 1917 to reward outstanding achievements in the arts, literature, music, science, politics, industry, and religion. The CH is an oval medallion with an oak tree, a shield with the Royal Arms of the United Kingdom hanging from one branch, and on the left a mounted knight in armour. The badge’s clear blue border bears the motto IN ACTION FAITHFUL AND IN HONOUR CLEAR in gold letters, and the oval is surmounted by an imperial crown. Men wear the badge on a ribbon that is red with golden border threads. The CH order is limited to no more than 65 members at one time. Oh, by the way, check out the newest trailer for Mr. Holmes below. I can’t wait for July to see this movie!